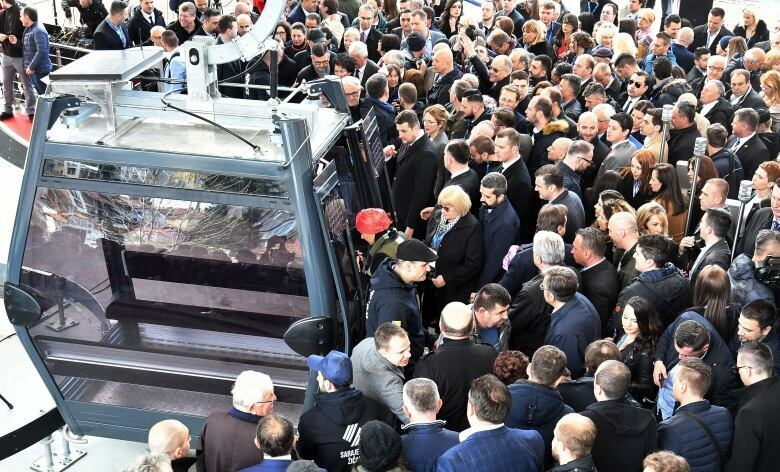 A Sarajevo survivor says her city's siege has finally ended after a cable car reopened, taking residents up to the beautiful mountain from which they were once bombed. 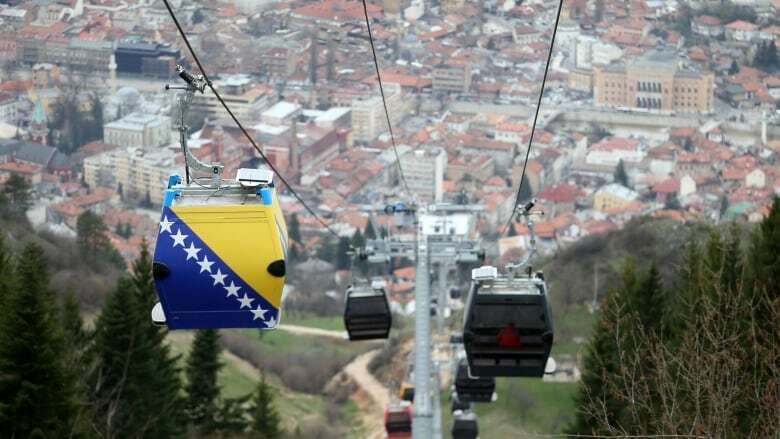 The Mount Trebevic cable car has resumed running in Sarajevo. As of Thursday, residents can once again climb onto cars, which then travel along a wire up the beautiful mountainside, high above the city. It's being billed as an escape for residents and tourists alike. But Senada Kreso remembers when the gondola was shut down. It was in the 1990s, when Ratko Mladic turned Mount Trebevic into a base for snipers and heavy artillery. What followed were nearly four years of deadly siege. Kreso, who now works as an interpreter, spoke to As It Happens host Carol Off about what it means for Sarajevians to ride the car again. What are your thoughts and feelings tonight after this ceremony reopening this cable car? Now it's pensive. This morning, when I was first watching television [on] a special program dedicated to the famous Sarajevo cable car, it was very moving. There was a moment when I cried. It's both sad and happy. It stopped running at the very beginning of the war and the siege of Sarajevo. It was a beautiful place. An amazing view. The city was so glorious and this was symbolic, wasn't it, of that loss? Mount Trebevic is the nearest mountain to the city. With cable car, it takes 10 minutes. For us it was the place for excursions. It was the place to escape smog and fog of Sarajevo winters that are long, cold and foggy. You just take the cable car and in 10 minutes you are flooded with sunshine. On the other hand, it was there for 50 years, just like there were so many places in Sarajevo that were there for hundreds of years. It was destroyed so brutally. For us, it was as if, until this morning, Sarajevo was not complete. It had to be done. What did Mount Trebevic come to represent in your life during the siege? During the siege, it was the threat. It was a real threat. For my neighbourhood, it was the threat because we were exposed, completely exposed. There were so many artillery pieces on Mount Trebevic [that] never stopped shelling Sarajevo. One didn't dare to look up to see it. Remember all those signs: "Beware of sniper. Beware of shells." It was from Mount Trebevic. You had this feeling that they could see you. 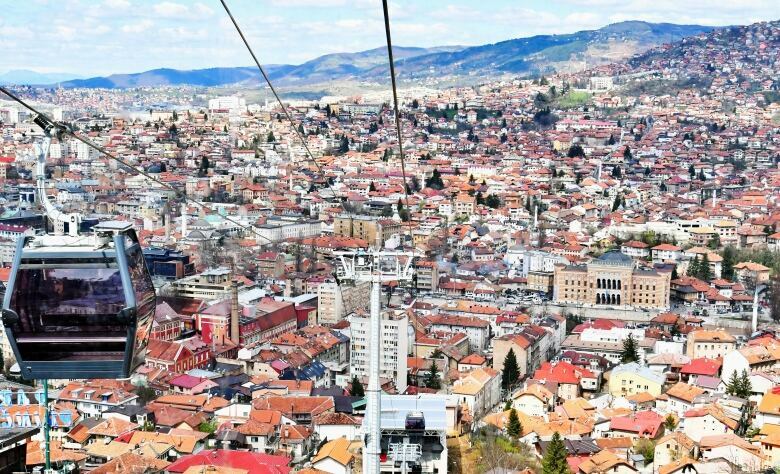 So, what is it going to be like for Sarajevans to take that cable car and go up there? Are they going to go through a whole range of emotions? For some time, certainly. For some people, maybe forever because they lost their relatives there, dear ones. But today, you should have seen the line of people standing in line waiting for their turn to board that cable and go up there. There was a lot of joy today. There is no Sarajevan who was not attached, who didn't feel that strong bond with Mount Trebevic and the cable car. 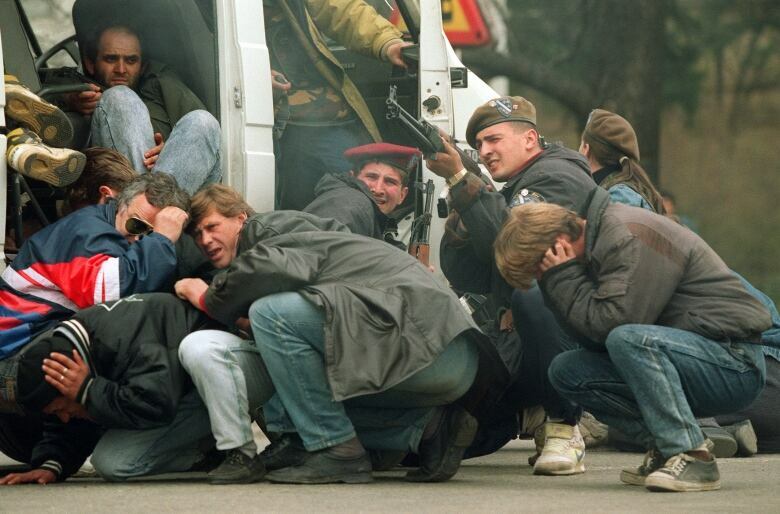 People often spoke about wanting to return to pre-war Bosnian and live there again. Is this a little slice of pre-war Bosnia that's been returned? 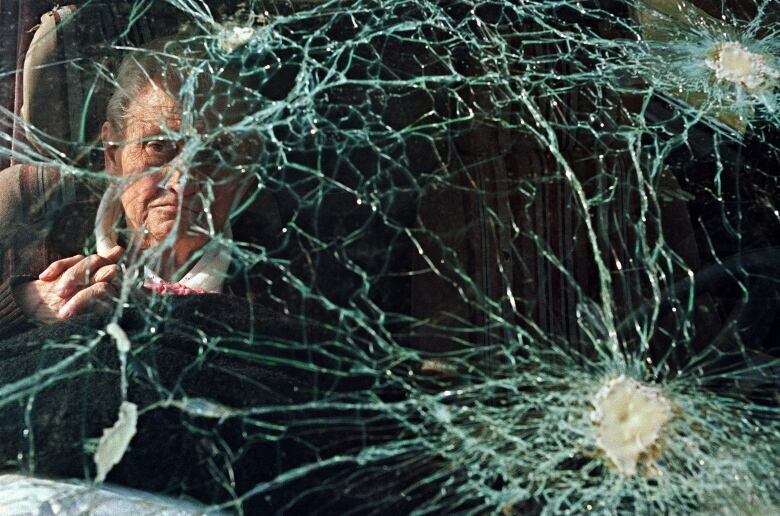 For most of us, for me for sure, the war did not end in February 1996. It ended again with the reconstruction of the town hall. And then it ended, yet again, with the reconstruction of the old bridge in Mostar. And today, I think it was the fourth, and the final. Written by John McGill. Interview produced by Kevin Robertson. This Q&A has been edited for length and clarity.